This week's deck is the Mary-El Tarot deck. This one is a favorite of mine, because the imagery is just stunning! 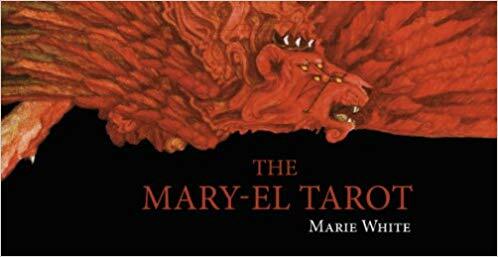 "Exquisite and powerful, if there is a theme in The Mary-el Tarot, it is one of the alchemy of the soul; of finding balance, symmetry, mastery of the self, and becoming your own genius. This long-awaited 78-card deck is stunningly illustrated with traditional oil paints and a depth of symbolism found in the old classics. The accompanying guide, Landscapes of the Abyss, takes the reader through the meanings of each card via the landscape of the Moon and the High Priestess, through the geometry of the temple and the Tree of Life, the Merkabah, and the caduceus! Enter a doorway between heaven and earth, between microcosm and macrocosm, between the world of eternity and infinity. 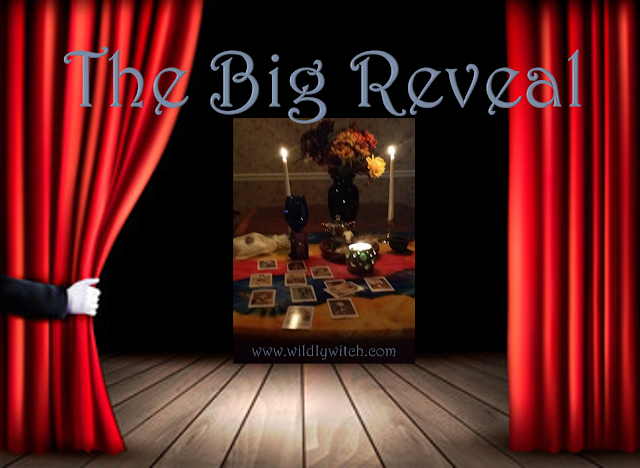 A rare gem suitable for all levels of tarot experience." 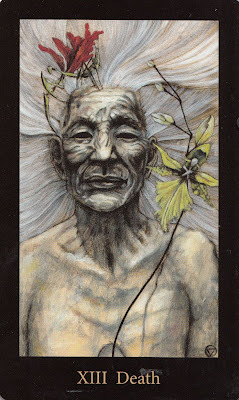 The Death card is probably the most feared and misunderstood of all the cards in the Tarot deck. Just mention the card’s name and most people freak out, worried they will suddenly keel over and die as soon as this card appears. Relax! The Death card can be one of the most positive cards in the deck. After a period of pause and reflection with the Hanged Man, the Death card symbolizes the end of a major phase, or aspect, of your life that you realize is no longer serving you. This now opens up the possibility of something far more valuable and essential. It's time to close one door to open another. Put the past behind you, and part ways, ready to embrace new opportunities and possibilities. Similarly, Death shows a time of significant transformation, change and transition. You need to transform yourself, and clear away the old to bring in the new. Any change should be welcomed as a cleansing, transformational force in your life. The Death card has elements of a sudden and unexpected change. Death happens to everyone, no matter who you are, how much money you have, where you live, or what color your skin is; it is the same with a significant change. The Death card can be a sign you may feel as though you are caught in the path of sweeping change and cannot escape its effects. Although the upheaval may seem unwanted and painful, this massive change could bring with it a series of unexpected surprises that create new opportunities and advantages for you. Finally, Death is a sign that you need to learn to let go of unhealthy attachments in your life to pave the way to a fuller, more fulfilled life of deeper meaning and significance. Death teaches you to let go of outworn and outgrown ways of life and to move forward from them. This is a perfect card to break a bad habit or pattern of behavior. See this as a time to cut out excess and let go of what is unnecessary for your life. Purge the old belongings, memories and baggage that are getting in your way. How did you do? Don't be discouraged if you've not been nailing these. This is literally an exercise to help you learn more about yourself, and hone your intuition. We'll review this exercise at the end of the month, and discuss our next steps for February. Hang in there! Let me know how I can support you via the Facebook page, or the comments below.